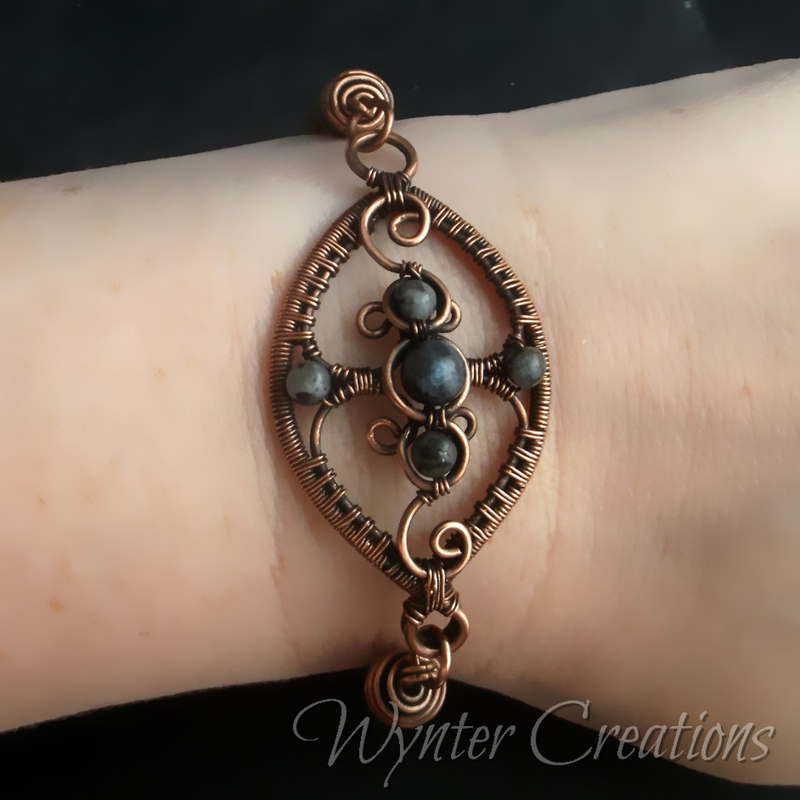 Delicate, graceful filigree, embellished with shimmery gray labradorite, and finished with copper Viking knit -- this bracelet is striking and dignified. The Gray Lady measures 20 cm (about 8 inches) around, but if you need something longer or shorter, this can be arranged for no extra cost -- just a couple of days' time to make the adjustments. In the lore surrounding gemstones and metals, Labradorite is considered by many to be a stone of transformation; it's thought to protect its wearer, and to balance and cleanse the aura. It's also thought to bring clarity and sharpness to intuition, to help develop spiritual gifts, and to increase confidence. 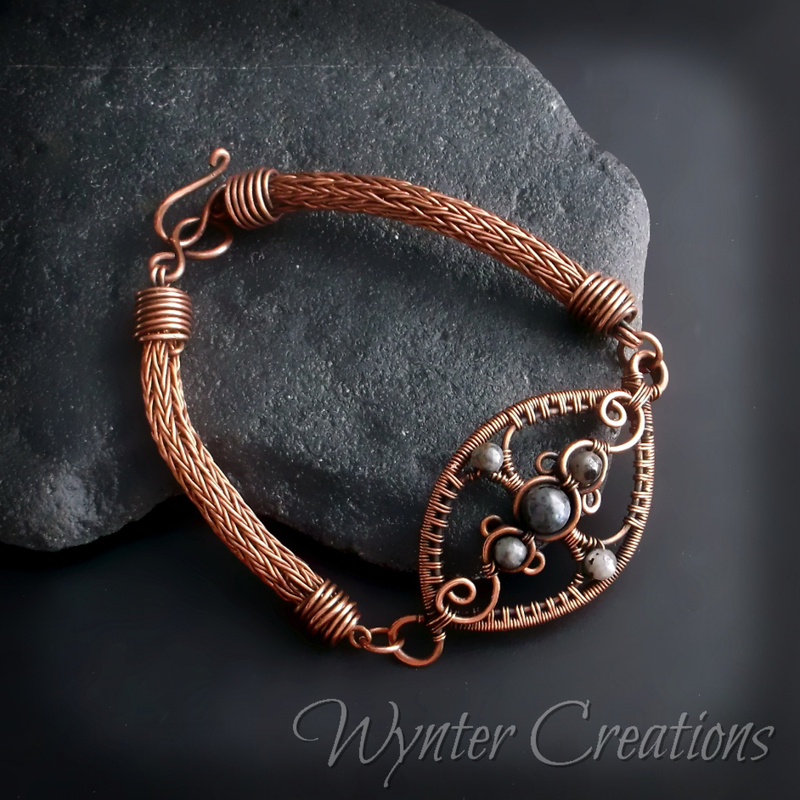 Copper is thought to improve circulation and relieve pain. It's associated with the sun and with luck, and is believed to enhance the properties of gemstones.